Integration is the first of its kind between a TMC and a ridesharing company. NEW YORK, N.Y. – April 20, 2018 – American Express Global Business Travel (GBT), a leading global corporate travel management company, and Lyft, the fastest growing rideshare company in the US, have announced a first-of-its-kind partnership that fully integrates Lyft’s platform, data and insights for GBT client travel programs. Together, they will make it easier for GBT’s business travelers to use Lyft for ground transportation, through a fully integrated travel program and/or booking system. The collaboration creates an innovative offering for GBT clients, making it easier for travelers to book ground transportation, and for corporations to measure the benefits of reporting, cost savings and duty of care. Cost Savings: Ridesharing has quickly become the top choice of ground transportation for business travelers accounting for more than 70% of ground transportation receipts*. While many companies enable employees to use ridesharing for business travel, some do not currently have a policy or program in place, which can lead to missed opportunities for cost savings. This partnership will help corporations capture ridesharing spend and optimize savings. Data Visibility: Travel managers gain insight into a comprehensive set of KPIs and data sets to optimize their ground programs. Easy Integration: Clients are quickly able to have their corporation sign up for Lyft and immediately have access to Lyft Business benefits via Lyft’s mobile app. Later this year full integration will be available via the Amex GBT Mobile app. Traveler Benefits: Travelers gain access to GBT’s negotiated business traveler incentives/rewards and partner rewards provided by Lyft. GBT’s partnership also allows for bookings to be segmented for easier expense management. Risk Management: Later this year, GBT and Lyft intend to jointly build out an integration into Expert Care™, GBT’s travel disruption and risk management platform. Travel managers and corporations interested in learning more about the Lyft-GBT partnership should contact their GBT client manager. To learn more about GBT and its ground transportation offerings, please visit amexglobalbusinesstravel.com. For more on Lyft Business please visit https://www.lyft.com/business. 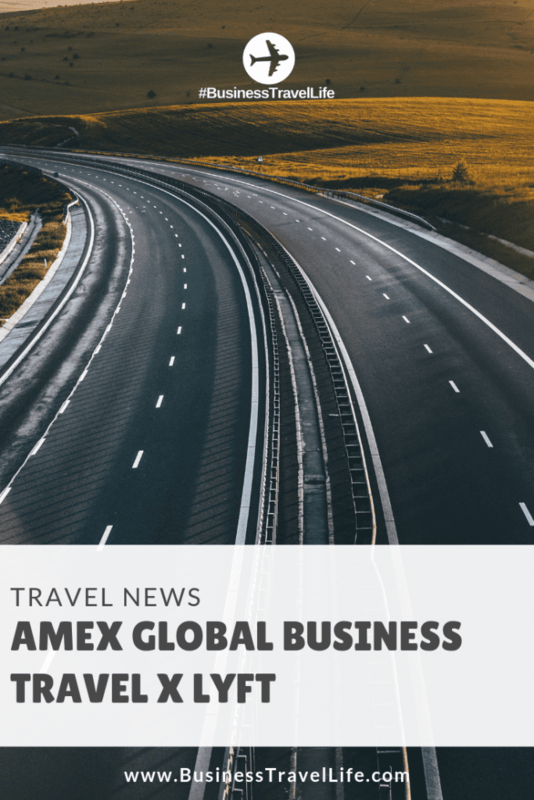 American Express Global Business Travel (GBT) equips companies of all sizes with the insights, tools, services, and expertise they need to keep their travelers informed, focused and productive while on the road. With approximately 12,000 employees and operations in nearly 140 countries worldwide, GBT empowers customers to take control of their travel programs, optimizing the return on their travel and meetings investments, while, more importantly, providing extraordinary traveler care.